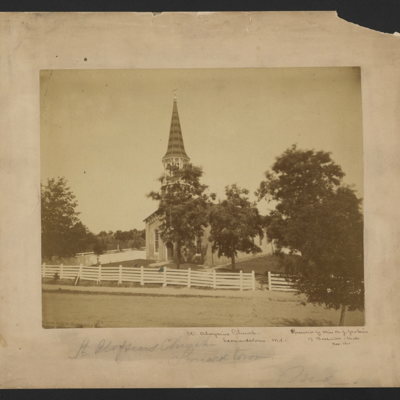 Photograph of exterior of St. Aloysius Church, Leonardtown, MD. 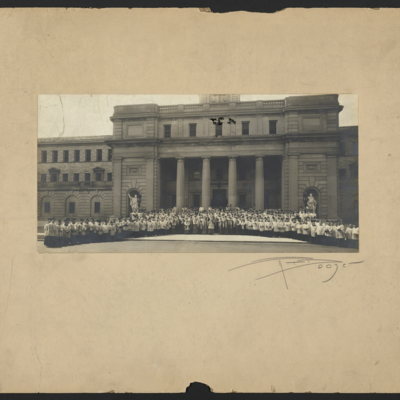 Inscribed below photograph and on verso: "Presented by Miss M. J. Jenkins of Baltimore, MD, Nov. 1911." 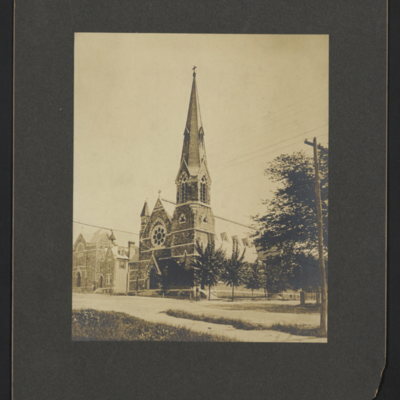 Photograph of exterior of St. Anne's Church, Baltimore, MD. 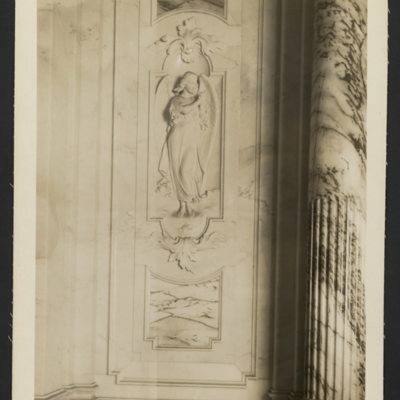 Note on verso reads "Erected by Mr. & Mrs. Wm. Kennedy. 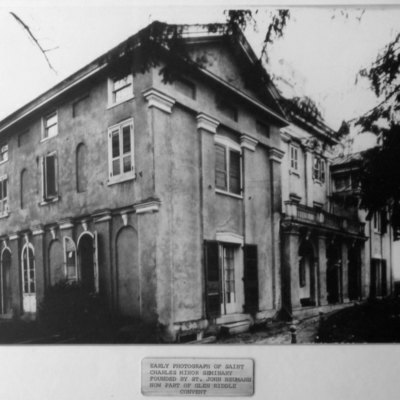 Transept afterwards built & consecrated by bequest in the will of their daughter, Sarah Boone." Title taken from verso. 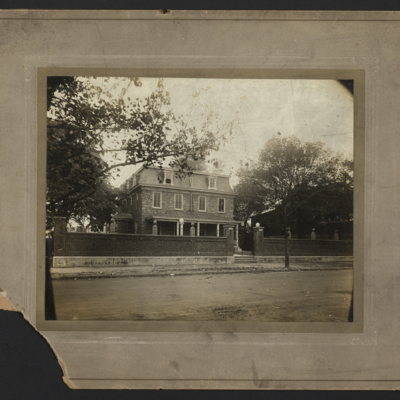 Photograph of exterior of St. Ann's School, Phoenixville, PA. Title devised by cataloger. Photographer unknown. 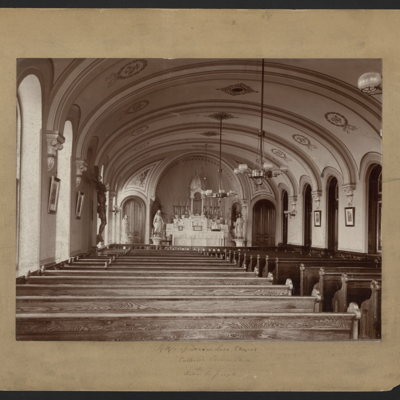 Photograph of the interior of St. Anne's Church, Philadelphia. View of sanctuary. Photographer's mark appears in bottom left corner and reads: "Photo by Geo. 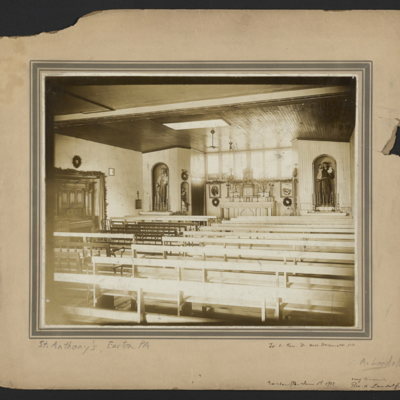 R. Lawrence Co. 1680-d."
Photograph of the interior of St. Anne's Church, Philadelphia. Close-up of main altar. Photographer's mark appears in bottom left corner and reads: "Photo by [Geo. R. Lawrence Co.]" (signature is cut off). 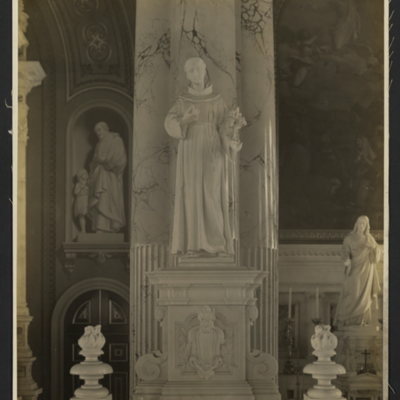 Photograph of the interior of St. Anne's Church, Philadelphia. Detail of angel relief. Photographer's mark appears in bottom right corner and reads: "Photo by Geo. R. Lawrence Co. 1692-1." 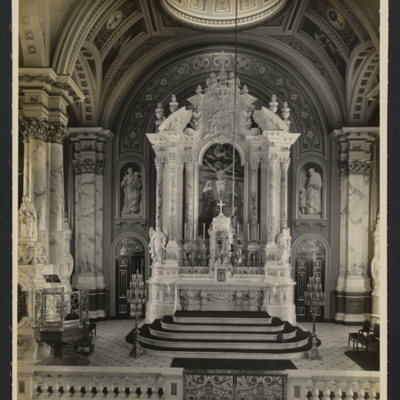 Photograph of the interior of St. Anne's Church, Philadelphia. Detail of statue base. Photographer's mark appears in bottom left corner and reads: "Photo by Geo. R. Lawrence Co. 1690-8." 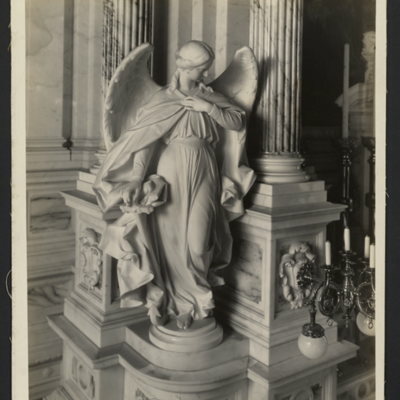 Photograph of the interior of St. Anne's Church, Philadelphia. Detail of angel relief. Photographer's mark appears in bottom right corner and reads: "Photo by Geo. R. Lawrence Co. 1690-15." 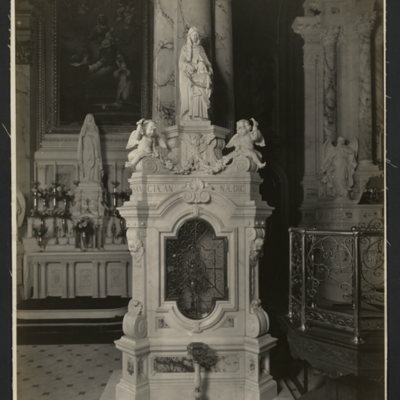 Photograph of the interior of St. Anne's Church, Philadelphia. Detail of angel statue. Photographer's mark appears in bottom left corner and reads: "Photo by Geo. R. Lawrence Co. 1690-13." 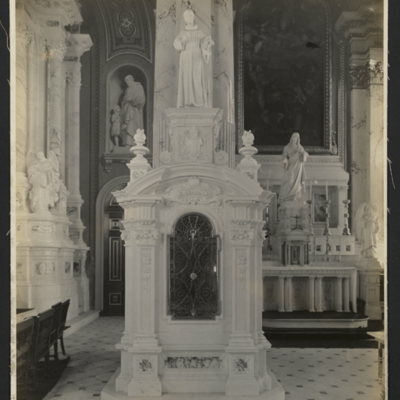 Photograph of the interior of St. Anne's Church, Philadelphia. 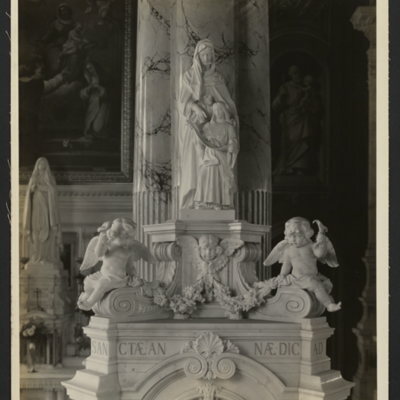 Detail of St. Anne statue and base. Photographer's mark appears in bottom left corner and reads: "Photo by Geo. R. Lawrence Co. 1690-9." 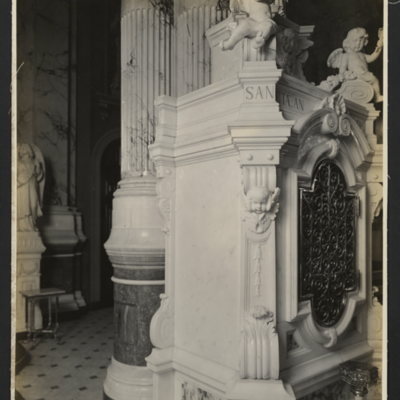 Photograph of the interior of St. Anne's Church, Philadelphia. Detail of angel statue. Photographer's mark appears in bottom left corner and reads: "Photo by Geo. R. Lawrence Co. 1690-11." Photograph of the interior of St. Anne's Church, Philadelphia. Close-up of St. Anne statue. Photographer's mark appears in bottom left corner and reads: "Photo by Geo. R. Lawrence Co. 1690-12." 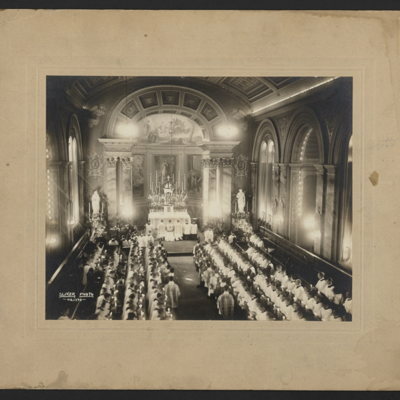 Photograph of the interior of St. Anne's Church, Philadelphia. St. Anthony statue and base. Photographer's mark appears in bottom left corner and reads: "Photo by Geo. R. Lawrence Co. 1690-14." 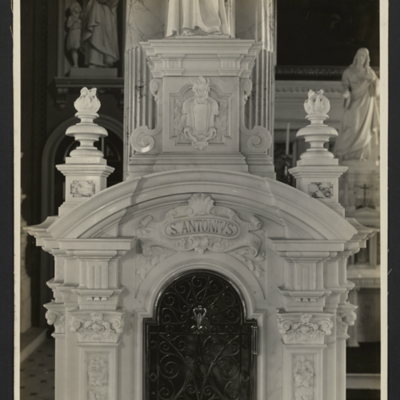 Photograph of the interior of St. Anne's Church, Philadelphia. Close-up of St. Anthony statue base. Photographer's mark appears in bottom left corner and reads: "Photo by Geo. R. Lawrence Co. 1690-2." 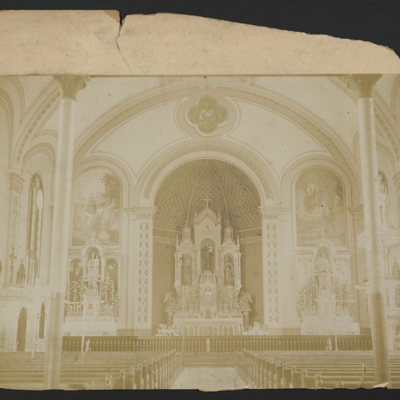 Photograph of the interior of St. Anne's Church, Philadelphia. Close-up of St. Anthony statue. Photographer's mark appears in bottom left corner and reads: "Photo by Geo. R. Lawrence Co. 1690-7." 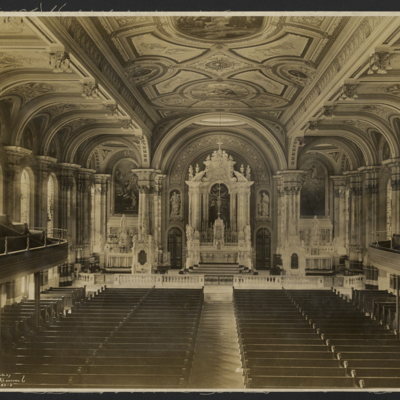 Photograph of the interior of St. Anne's Church, Philadelphia. View of main altar. Photographer's mark appears in bottom left corner and reads: "Photo by Geo. R. Lawrence Co. 1690-3." 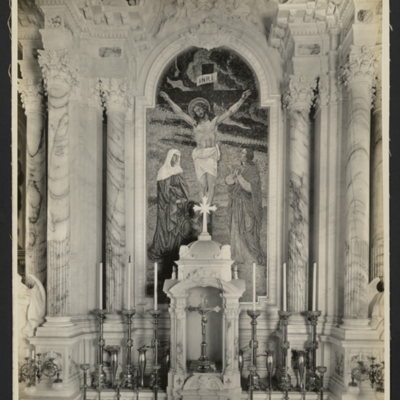 Photograph of interior of old St. Anthony's Church, Easton, PA, facing altar. Note in bottom right corner reads "To V. Rev. D. McDermott, D.D. Easton, Pa. June 1, 1912. Very sincerely, Rev. A. Landolf." 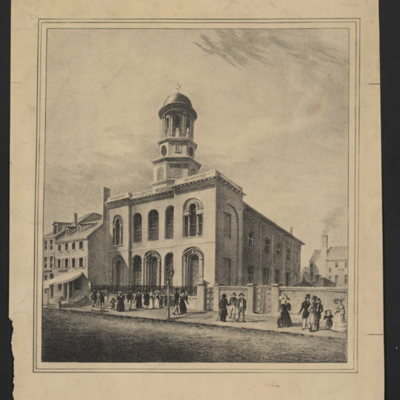 Lithographic print of exterior of St. Augustine's Church, Philadelphia. Printed below title: "On Stone, Geo. Lehman, Fecit. "; "Philada. Published by C. G. Childs. 80 Walnut St. 1830." 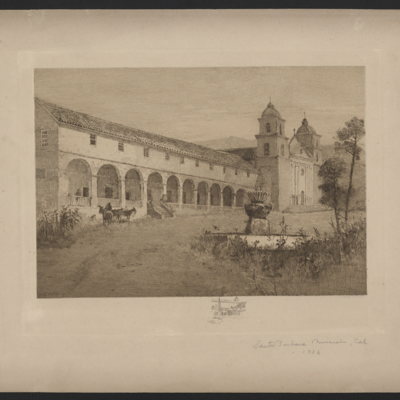 Engraving of Santa Barbara Mission, California. Signed by R. Shaw in bottom left corner. 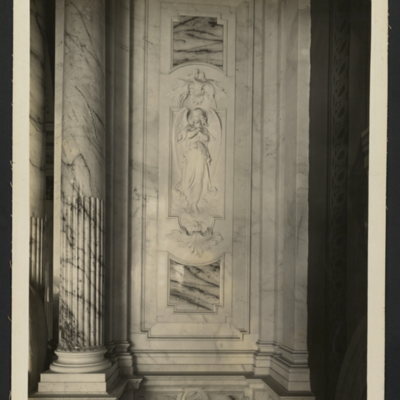 Photograph of interior of Mother of Divine Love Chapel, Catholic Home for Destitute Children, 29th & Allegheny, Philadelphia. The Cardinal Gibbons Memorial Hall, Catholic University, Washington, D.C. 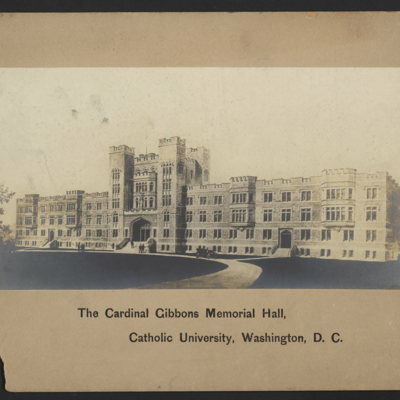 Photograph of exterior of Cardinal Gibbons Memorial Hall, Catholic University, Washington, DC. Photographer's stamp appears in bottom right corner. 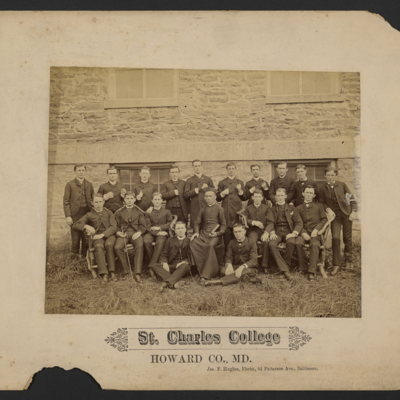 Photograph of students at St. Charles College (Sulpician Preparatory Seminary), Ellicott City, MD. Printed below title: "Jas. F. Hughes, Photo., 84 Patterson Ave., Baltimore." 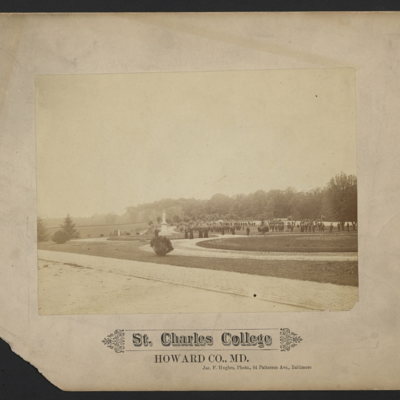 Photograph of the grounds of St. Charles College (Sulpician Preparatory Seminary), Ellicott City, MD. Printed below title: "Jas. 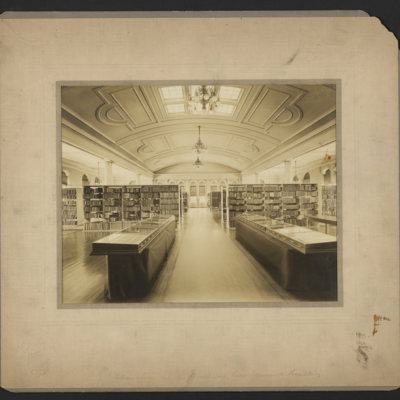 F. Hughes, Photo., 84 Patterson Ave., Baltimore." 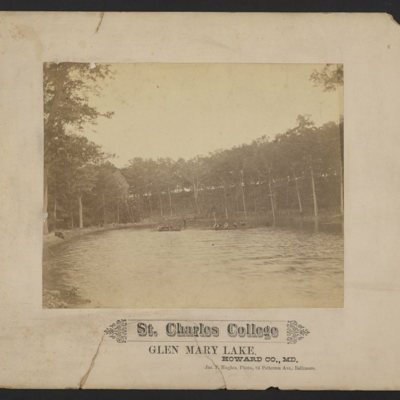 Photograph of students in boats at St. Charles College (Sulpician Preparatory Seminary), Ellicott City, MD. Printed below title: "Jas. F. Hughes, Photo., 84 Patterson Ave., Baltimore." 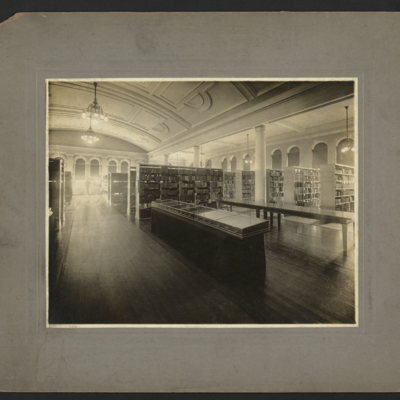 Interior view of Ryan Memorial Library, St. Charles Borromeo Seminary. Interior view of Ryan Memorial Library at St. Charles Borromeo Seminary. Title taken from verso. Photographer unknown. 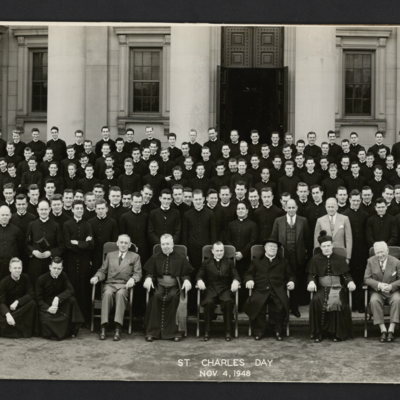 St. Charles Day, Nov. 4, 1948. 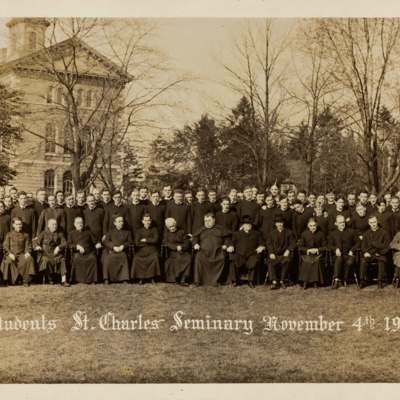 Photograph of Dennis Cardinal Dougherty, seminary faculty, seminarians and Board of Directors, taken on St. Charles Day, November 4, 1948. 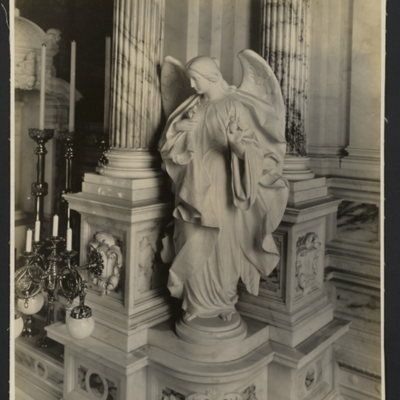 Photograph of St. Martin's Chapel interior, possibly Benediction or Corpus Christi in 1902. 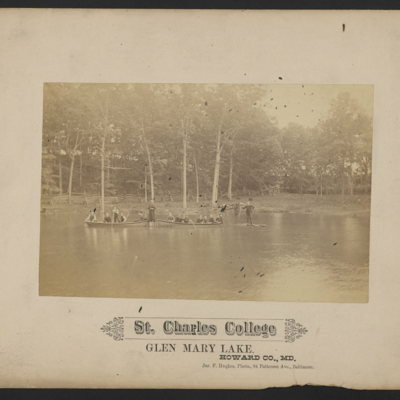 Inscribed in bottom left of photo: "Sliker Photo. No. 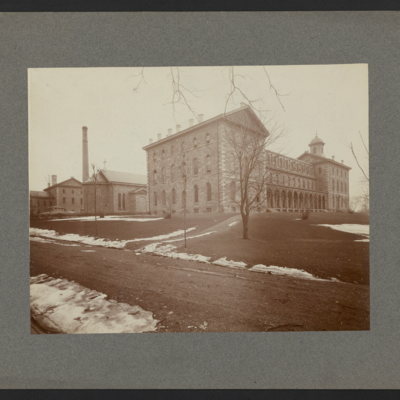 1340" (i.e., Sliker Photo Studio in Bridesburg, Pa.). Title devised by cataloger. St. Charles Seminary, Overbrook, Pa. Service building. 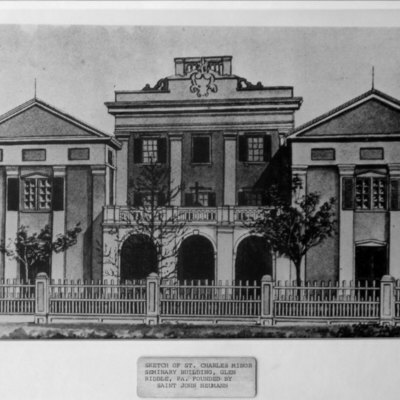 Reproduction of painting of the service building at St. Charles Borromeo Seminary. Title taken from verso. Creator unknown. 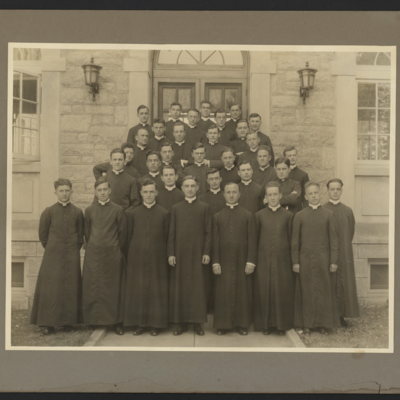 Photograph of a group of seminarians, possibly one of the classes, at St. Charles Borromeo Seminary, Overbrook, Pa. Title devised by cataloger. 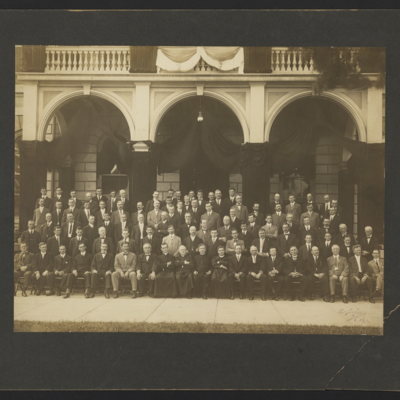 Photograph of a large group of clergy, with Dennis Cardinal Dougherty, at the main entrance of St. Charles Borromeo Seminary (possibly St. Charles Day celebration). Signed by Richard T. Dooner below photograph. Title devised by cataloger. 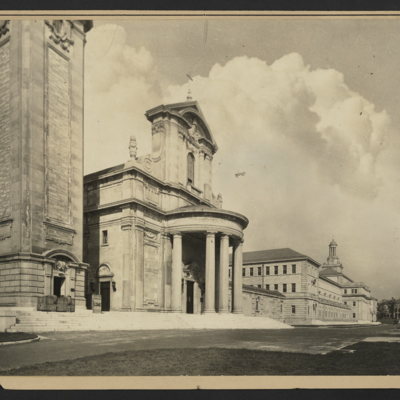 Photograph of exterior of St. Martin's Chapel at St. Charles Borromeo Seminary. Title devised by cataloger. Photographer unknown. 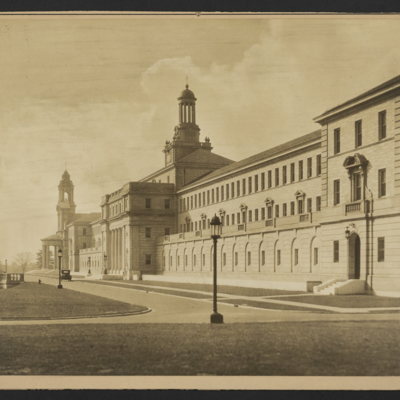 Photograph of exterior of main building of St. Charles Borromeo Seminary. Title devised by cataloger. Photographer unknown. 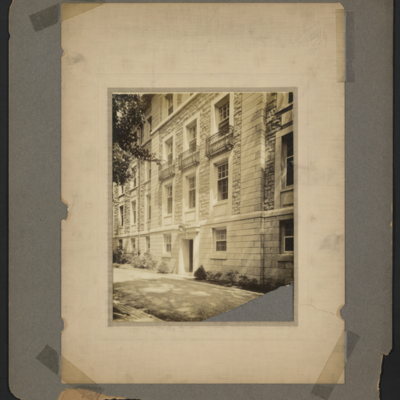 Photograph of rear of upper side buildings at St. Charles Borromeo Seminary. Title devised by cataloger. Photographer unknown. 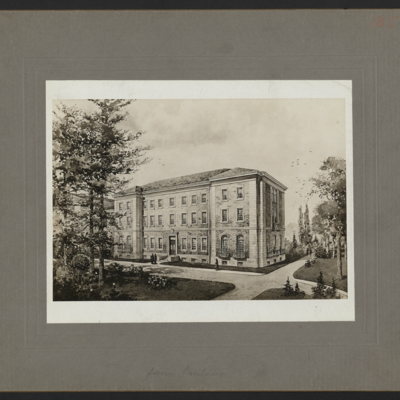 Photograph of building on upper side at St. Charles Borromeo Seminary. Title devised by cataloger. Photographer unknown. 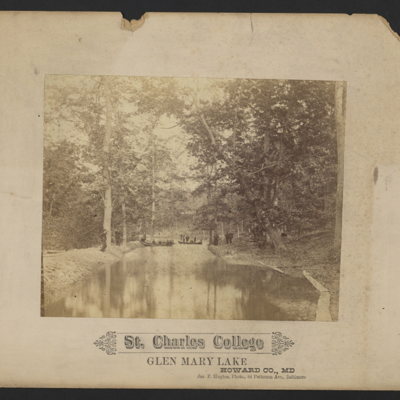 Photograph of sketch of St. Charles Borromeo Minor Seminary, Glen Riddle, PA. Creator unknown. 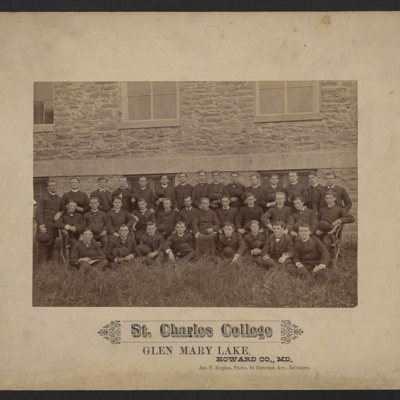 Reproduction of early photograph of St. Charles Borromeo Minor Seminary at Glenn Riddle, PA. Inscribed below photograph: "Note priest in doorway". 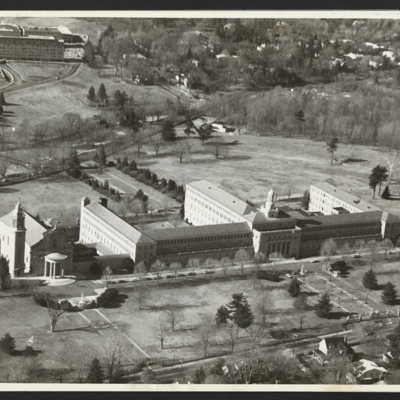 Reproduction of aerial photograph of the main buildings at St. Charles Borromeo Seminary. Date of original photograph is unknown. Title devised by cataloger. Title devised by cataloger. Inscribed in bottom left corner of photograph: "Thompson Photo Co. Poughkeepsie N.Y. No. 2201." 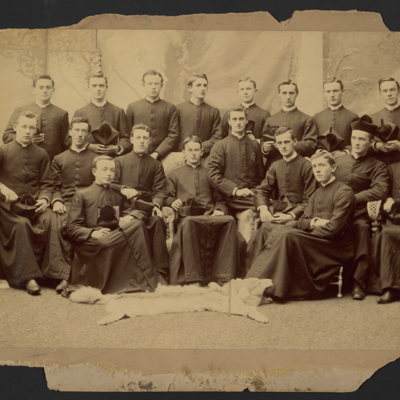 Group photograph of the students of St. Charles Borromeo Seminary, Overbrook, Pa. Inscribed in bottom right corner of photograph: "Klein & Goodman, 114 S. 11th St. Phila., PA". 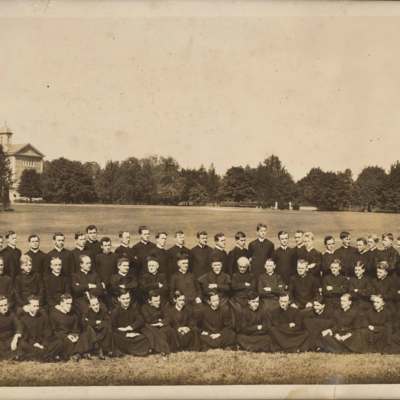 Group photograph of the students of St. Charles Borromeo Seminary, Overbrook, Pa. Title devised by cataloger. Inscribed in bottom right of photograph (but partially cut off): "Thompson P[hoto Co.], Poughkee[psie, NY], #32[-]." 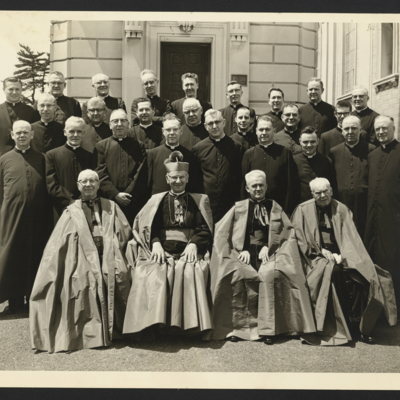 Photograph of faculty of St. Charles Borromeo Seminary with Cardinal Krol. Title devised by cataloger. Photographer unknown. Concursus Day, 1974. Fr. Esler and friends. 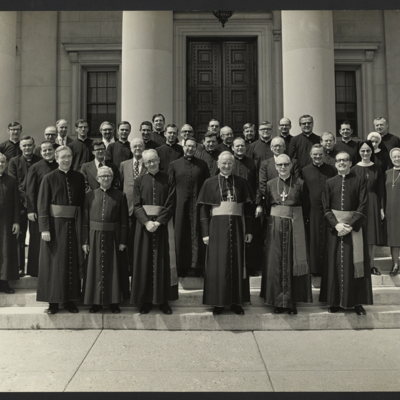 Photograph of faculty and Board of Trustees of St. Charles Borromeo Seminary on Concursus Day, 1974. Title devised by cataloger. 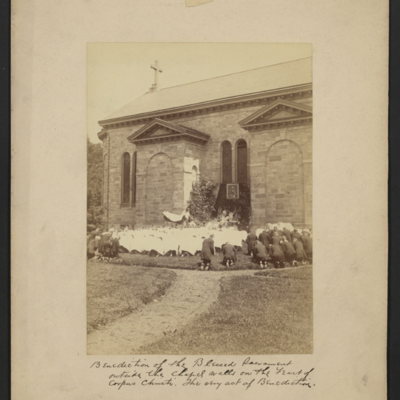 Benediction of the Blessed Sacrament outside the walls of Immaculate Conception Chapel on the feast of Corpus Christi in 1887. 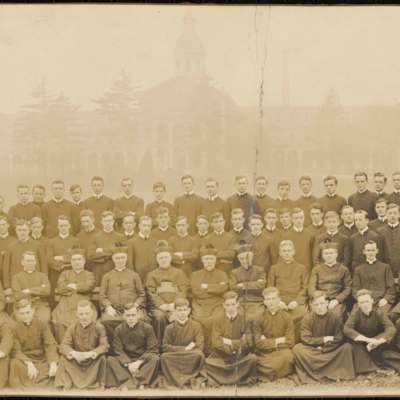 Photograph of large group of laymen and some priests at St. Charles Borromeo Seminary. Possibly the Laymen's Weekend Retreat League on retreat. Photographer's mark appears in bottom right corner and reads "W. N. Jennings, Phila."